(Brades, Montserrat – March 4th, 2011): Getting to Montserrat just got easier with the announcement by the Government of Montserrat that St. Vincent Grenadines Air (SVG Air) has been approved to operate daily scheduled commercial air transport services between Montserrat and Antigua. Departure from Antigua: 7:00 A.M.
Departure from Montserrat: 7:30 A.M.
Departure from Antigua: 4:00 P.M.
Departure from Montserrat: 4:30 P.M.
SVG Air can also add non-guaranteed flights and/or charters to Antigua and neighbouring island based on requests and on market demand. 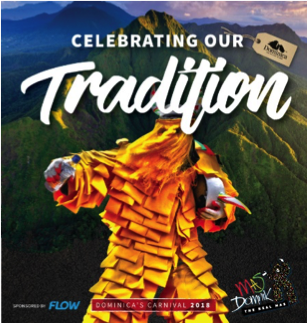 For reservations and flight information in Montserrat call handling agent Monair at (664) 491 4200 or email monair@candw.ms , and in Antigua, call Express Handling at (268) 562 7183 or email expresshandlers@gmail.com. To contact SVGs head office in St. Vincent email abm-air@svgair.com or call (784) 457 5124. ABOUT SVG AIRSt Vincent Grenadines Air (SVG Air) has been in operation since 1990, and is based in St. Vincent, Barbados, St. Lucia and Grenada, with hangars in St Vincent, Bequia and Canouan. The company operates scheduled and charter flights throughout all the islands of the Caribbean, in particular between Barbados, Nevis, Bequia, Canouan, St Vincent, St. Kitts, St. Marten, Union Island, Mustique, Grenada, St Lucia, St Barts, Anguilla, and Martinique, and also as far afield as Guyana and Jamaica. In mid-March 2011 the airline will commence scheduled flights between Antigua and Barbuda and to Montserrat.